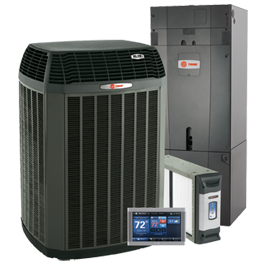 Deer Heating & Cooling knows that choosing a company for repairs of your heating and air conditioning systems can be a difficult decision. We like to consider our staff, as well as our customers, part of the Deer Heating & Cooling family. -All of our technicians are full-time employees (we do not use any subcontractors), and they are committed to ensuring that each customer’s needs are met. 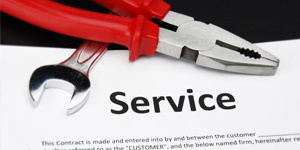 -Our technicians are background checked and insured. -Each technician arrives at your home in a fully stocked van with Deer Heating & Cooling’s logo clearly marked on the vehicle. They will be wearing a Deer Heating & Cooling uniform when they arrive at your door. -Our technicians give a courtesy phone call 15 minutes before their arrival. Our technicians are experienced, knowledgeable, and professional. They will evaluate the problem, then discuss your repair needs and options with you while making sure you have a detailed diagnosis of your system. Our technicians will make certain that all questions are answered. If a repair is needed and you approve the repair, the technician will perform the work as quickly and efficiently as possible. When repairs are completed, the technician will give you a written statement of the work that was done and the repairs that were made. Our technicians are now equipped with tablets, making it easier for you to get your statement faster through the use of email. He will also make certain that all of your questions or concerns are addressed before he leaves. We NEVER charge an OVERTIME RATE regardless of weekdays, evenings, weekends, or holidays.